When the Manila Jockey Club, Inc. opened its doors in 1903, the exclusivity and privileges that was once held unto by the reigning socios fundadores of the time was shared to the Filipino masses. Horseracing became a renowned Filipino pastime which recognized no class or status, only one’s love and passion for the sport. As racing opened its doors, MJC forwarded its goals not just for the future of the sport, but also for the disenfranchised. It forged a social commitment to help uplift the lives of the Filipino masses through horse racing. Today, the Manila Jockey Club Charities stays true to its commitment, and continues to provide the less fortunate residents of the barangays surrounding the San Lazaro Leisure Park in Carmona with regular welfare and medical programs. The Municipality of Carmona, which hosts the park, has 14 barangays, 6 of which surround SLLBP. The six barangays are Bancal, Maduya, Cabilang Baybay, Lantic, Milagrosa, and Mabuhay with a projected population of 64,750 and with Milagrosa being the largest with 23,694 residents. 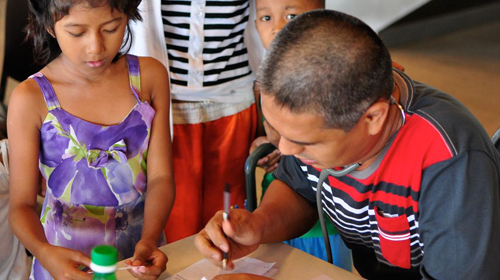 Each year, MJC organizes a medical and dental mission at San Lazaro Leisure Park which services residents surrounding barangays, as well as the nearby towns of Biñan, and GMA in Cavite. 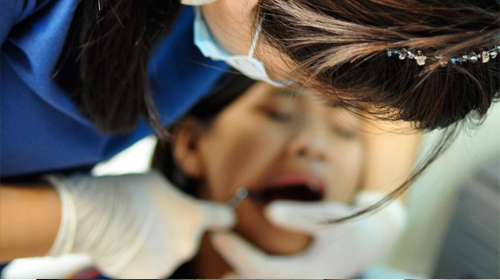 Patients are given free medical consultations, minor surgeries and dental extraction. Both adults and children are also provided with vitamins and medicine to ensure their proper health and recovery. A very important factor in the success of these missions is the time and effort, rendered by medical personnel and MJC employees. The strength of the Manila Jockey Club Charities lies in the spirit of camaraderie and volunteerism that each individual willingly devotes. MJC also acknowledges the assistance of its partners in charity. Apart from annual charity stakes races, where a percentage of the proceeds are given to a chosen foundation, private and public groups continue to help the company extend its hands to more Filipinos. The Philippine Racing Commission (Philracom), Philippine Charity Sweepstakes Office (PCSO), Philippine Amusement and Gaming Corporation (PAGCOR), private corporations and the Municipality of Carmona are crucial in sustaining these projects. Continuing its environmental projects, tree planting around the 77 hectare complex is a regular activity. In some areas, fruit and vegetable gardening became a source of extra livelihood and a rich source of organic and healthy produce for the employees. Regular harvests are sold to concessionaires, employees, and even to the local market at farm gate prizes. Sunday devotion is also made possible at the Turf Club building chapel at the 2nd floor. In attendance are the whole community both within the park, and the surrounding residential subdivisions. The Manila Jockey Club Charities continues to set the right track. More than providing social assistance, it spreads awareness for the plight of the disenfranchised members of our society. As our businesses expand, Manila Jockey Club Charities intends to re-dedicate itself to moving hearts and changing lives for a better Philippine society.